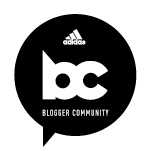 Sarah Conklin is perhaps best known on the internet as the blogger behind “Once Upon a Lime.” She lives in Bend, OR, where she works for Picky Bars, the sports bar company founded by professional athletes Lauren Fleshman, Jesse Thomas, and Stephanie Bruce. Before that, she worked for Oiselle, the women’s athletic wear company, and was an avid marathoner. Now, after taking a bit of a break from the marathon distance, Sarah is back at it, training under Lauren Fleshman’s guidance. On this episode, we talked about everything from what a day in the life of a Picky Bars employee is like (bonus: it sometimes includes starting the day on the ski slopes) to failed Boston Qualifying attempts to getting a divorce in your twenties. 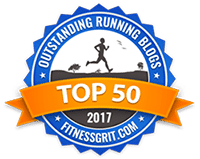 Sarah was super open and honest, and offered up some great insights about relationships, growing up, and changing her perspective on running. 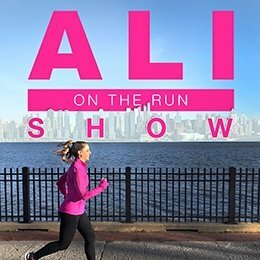 5 Responses to "Ali on the Run Show Episode 9: Sarah Conklin, 3:37 Marathoner and Picky Bars Employee"
I’ve been loving the podcasts Ali! Keep it up! What’s going on Lazy Bones? I’m not sure how I missed that you have a podcast but I am so excited to listen!!! Listened to this podcast on the treadmill yesterday. Really enjoyed it. I’m a runner (normally outdoors, but it was sleeting) and cyclist with a Crohn’s diagnosis (I haven’t fully accepted that, even though it’s almost been 2 years since my diagnosis). Anyway, had to laugh that your guest works for Picky Bars. I found a few week old 1/2 eaten Picky Bar in my cycling backpack last weekend and proceeded to take a few bites while on my ride before deciding it was probably a bad idea and I trashed the rest of it. Update: it was a bad idea. Anyway, I love fresh Picky Bars (and the creative names they have for their products) and this episode was great. Thanks!